The Casela Nature Park is a 14-hectares sanctuary offering a home to over 1,500 birds, monkeys, zebras, lions and many other animals. 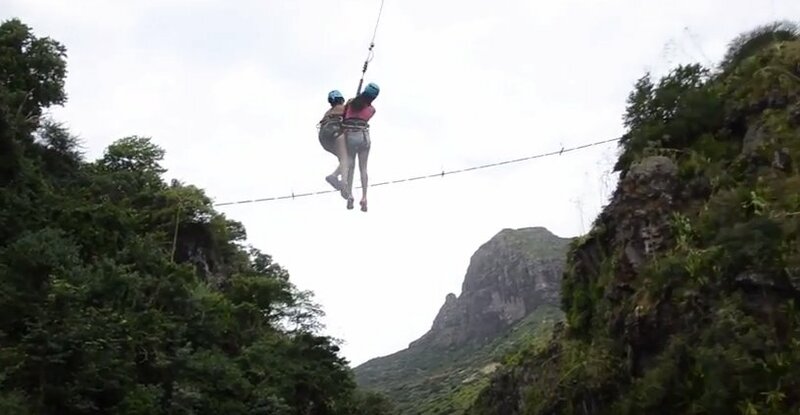 Casela Mauritius is a beautifully landscaped adventure park that offers a range of activities including animal interactions, a variety of heart pumping activities like zip line, giant slide, canyoning, and quad-bike safaris. 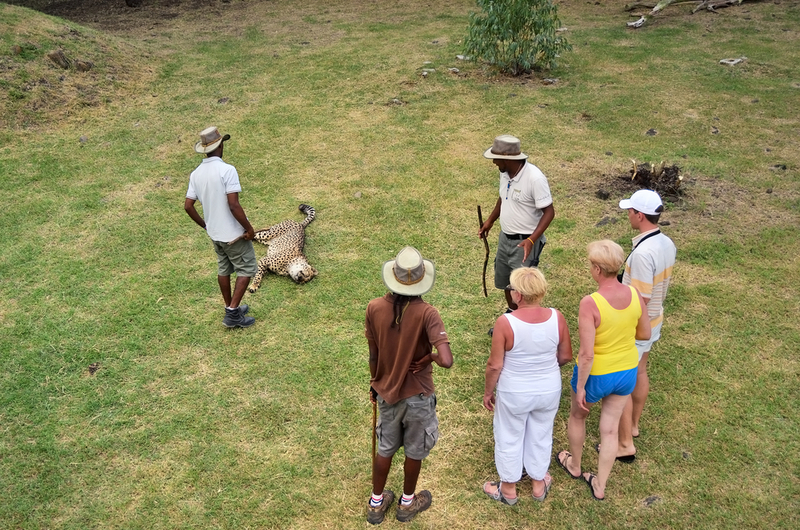 A Casela safari tour gives visitors the opportunity to venture hidden waterfalls Mauritius, feel the thrill of the longest Casela zip line circuit along the Indian Ocean coastline, hanging bridges, feed zebras and ostriches among other fun activities. One of Casela’s biggest tourist attractions is its lions. The Casela adventure park offers visitors a once in a lifetime opportunity to walk with the lions. The park has a lion enclosure where visitors get to meet with the majestic king of the jungle face to face. Walking with the lions is one activity you should not miss. To enjoy this opportunity, you are required to pay a lion park entrance fee, get a briefing and then begin your 1-hour session of Casela Park lions. Walking with tigers is another activity that Casela offers on their drive through concept. While on this Casela safari, guests are enclosed in a fenced vehicle to enjoy the maximum experience, especially for the big cat lovers in the company of a guide and driver for security purposes. The guides have expert tracking skills to stalk tigers and ensure you get to relish the sight of this majestic cat climbing trees and resting under the forest’s shade. Every experience in Casela Mauritius is like no other. Visitors can explore the hinterland of Casela’s wildlife and nature on a 1-hour quad ride. First, they are taken on a test drive under the supervision of experienced guides. After that, the real safari starts when they are set free to tour the Yemen natural reserve on their own. Segways are environmentally friendly two-wheeled vehicles that Casela Nature Reserve has incorporated into its activities to ensure their visitors have sheer fun while they enjoy the beautiful outdoors. Led by experienced guides, they get to tour the beautiful nature in the Casela Nature Park on a Segway safari. The Casela Nature Park is home to 9 giraffes. You will get the opportunity to admire their tallness and even feed them if you feel like. We certainly also have high adrenaline filled adventures at the park. Canyon swing is one of them which introduces visitors to a different type of bungee jumping. The Canyon swing lets you jump from a 45m high platform and fly between canyons among birds and bats. For the sporty adventurers, Ferrata Circuit in Casela opens your way to cross plateaus, gorges, and cliffs. This excursion is fully supported with high-standard safety equipment and guides to offer you a helping hand along your adventure. You will begin your journey by climbing towards the peak of the Mamzel Zabeth Mountain. Atop the Mountain, you will enjoy the stunning panoramic view of lagoons and nature reserves of the entire west coast Mauritius. Visitors can cross the hanging bridge and swim in the natural pond of fresh water alongside a waterfall. You also have the option of sliding on the Casela water zip lines that will take you from the top of the hill directly into the pond. Casela Mauritius gives kids aged between 8-14 years a chance to play zookeeper for an entire half day in different sections of the park such as the Casela bird park and fish pond. During this time the kid partakes in zoo keeping activities like food preparation and distribution, feeding, cleaning, and observation of the animals. Kids under 12 can enjoy the pony ride tour that starts from the goat enclosure to the pigs, calves, and fawns. Children can also enjoy fishing around the thriving tilapia pond at Casela Park. The park offers the children fishing rods and baits to ensure they have maximum fun while demonstrating their fishing skills. You can contact us for a detailed overview of the range of activities that you can indulge in at the Casela nature park. We also provide you with updated Casela price list for each event.